Unassembled Outdoor Radio Kit - ARC Wireless 900MHz 12.5dBi antenna, ARC Gen II enclosure with mounting hardware and feed-through, Mikrotik RouterBoard, Ubiquiti xr9 radio, and POE supply. 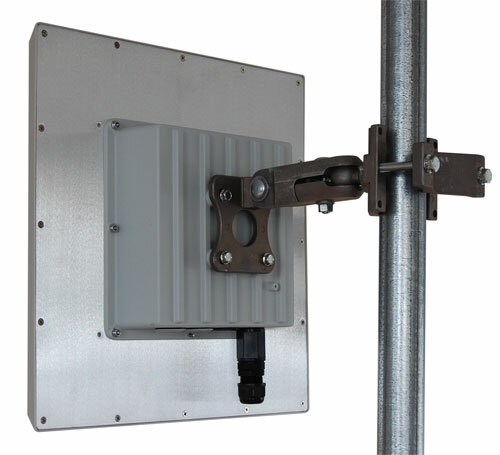 This high quality outdoor radio system kit is ready to assemble as a customer CPE, an Access Point (requires RB/411A or RB/411AH), or in a Point to Point configuration (requires two units). The enclosure is die cast aluminum. The RouterBoard is securely mounted and grounded. The mount is heavy duty, high quality alloy and fully articulating in all axis. Select Assembly, RouterBoard, RJ45 Connection, LED Window, and Power Supply options below. Note: These are sold and priced in 10 packs. Enough parts are included to build 10 outdoor radios. Each 10 pack is shipped in 3 to 4 heavy boxes. Partial assembly includes: glue in the gasket, install the 3 enclosure plugs (and LED window if selected), installing and aligning the 4 RouterBoard stand-offs. Then the enclosure is put back in its original box for shipping. The customer still needs to install the RJ45 ECS or Feedthru, the RouterBoard, the radio card, the pigtail, and attach the enclosure to the antenna. Usually the mount is attached during outdoor installation. Full assembly includes: everything except the mount. The assembled radios are packed for shipping.